Berlin Packaging is a premier supplier of glass, plastic, and metal containers and closures. 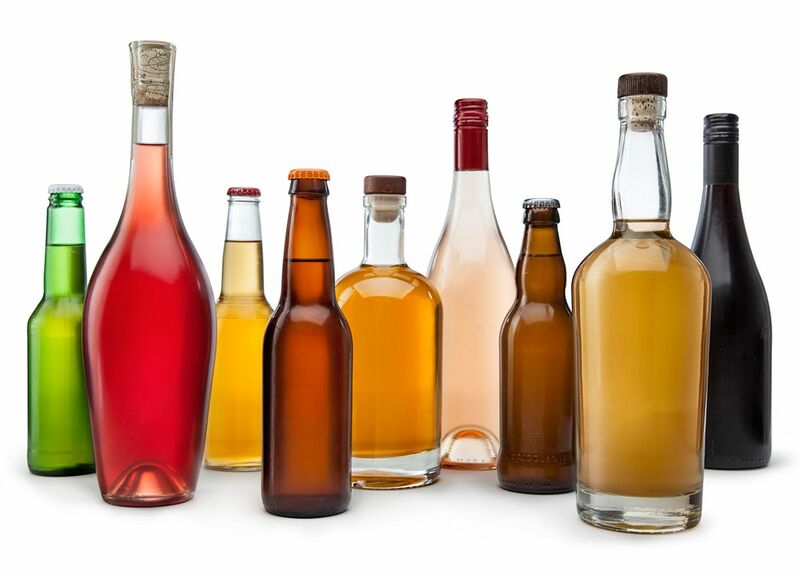 We offer a wide array of packaging for brewers and beverage companies along with design, financing, consulting, and warehousing services for customers of all sizes. We exist to help companies be Greater, Faster. April 4, 2019 - Berlin Packaging, the largest full-service supplier of glass, plastic, and metal containers and closures, announced today the acquisition of Verrerie Calvet, a packaging supplier strategically located in Aimargues, France, the heart of Southern France’s food region. Verrerie Calvet brings extensive experience in packaging for wine, spirits, olive oil, and gourmet seasonings, marinades and sauces. Berlin Packaging, the world’s leading supplier of plastic, glass, and metal containers and closures, announced the opening of its newest mega-warehouse in Ontario, California. Strategically located near the busiest seaport in the United States, the adjoining Ports of Long Beach and Los Angeles, and with easy access to I-10 and I-15 highways, the 231,000-square-foot Ontario mega-warehouse strengthens Berlin Packaging’s operations in Southern California, complementing the company’s existing almost 100,000-square-foot facility in Santa Ana. Every detail was taken into consideration with the build-out of the Ontario space to ensure customers reap the maximum benefits from Berlin Packaging’s time- and money-saving inventory management programs. The warehouse has 23 dock doors to allow for efficient loading and unloading, while a fully-secured yard with two separate entryways helps Berlin Packaging maintain their track record of 99+% on-time delivery every month for 14 consecutive years. Recognizing no two customers have the same needs, Berlin Packaging offers a customizable experience. Backed by the latest ISO 9001:2015 certification, customers can work with Berlin experts to develop dynamic inventory programs to match their exact needs. Examining pallet configuration, providing smart barcoding, and administering special packaging requirements are just a few of the specialized services that Berlin Packaging offers at no-charge in exchange for packaging business. Designed to provide a superior overall customer experience, the Ontario space includes a state-of-the-art training facility. This large space provides Berlin Packaging’s employees and customers alike an area to engage in personal, career, and business growth. This space helps catalyze new training programs the company has been rolling out, all with the aim of strengthening its competitive advantage through people. Berlin Packaging, the leading full-service supplier of glass, plastic, and metal containers and closures, has dramatically increased its expansive wine-country footprint and overall operational capacity in Northern California and the Pacific Northwest, with the official opening of their 430,000-square-foot office and distribution center in Fairfield. An impactful addition to the company's strong California presence, with existing facilities in Hayward, Rancho Cucamonga, Santa Ana and multiple other locations, the state-of-the-art Fairfield facility expands total space available while also improving operational efficiencies and adding a world-class office for the local team of almost 100 employees, who are part of a global team of 1,000. Berlin also maintains West coast warehousing in Arizona, Nevada, Utah, and in the Pacific Northwest. Valued at $2.6 billion with over 100 sales and warehouse locations across North America and Europe, Berlin Packaging provides an unparalleled level of customer service and operational excellence in the packaging industry. This move is the most recent investment as this dynamic organization continues to expand and improve its physical facilities and grow its workforce. Designed to meet the needs of forward-thinking customers looking for packaging solutions that add to their bottom line, the Fairfield facility helps businesses of all types improve their supply chain with complete inventory management solutions that help cut expenses, improve productivity, and boost cash flow by taking inventory off customers' production floors. Reliable inventory management is a cornerstone of what Berlin Packaging brings to its customers. The company delivers more than 300,000 shipments annually at 99% on-time accuracy and has held this track-record for 162 consecutive months. Conveniently located off I-80 in the new Gateway Business Park, the warehouse is at the center of economic activity in Solano County. The new facility houses a dedicated quality laboratory and on-site Quality team, a flexible re-packing operation to get customers products in the most convenient format, and a large product showcase to inspire ideas and innovation. 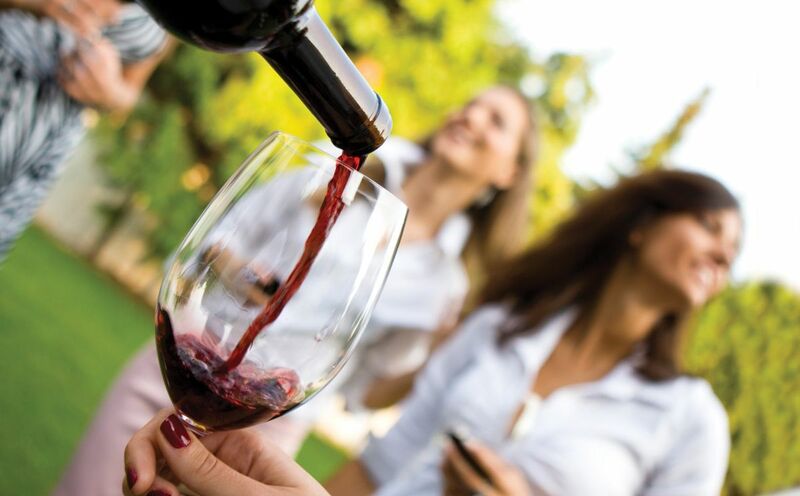 Berlin Packaging's unparalleled purchasing power, including the industry's strongest network of both domestic and global manufacturing partners, continues to benefit area customers in the wine, spirits, and beer sectors, which add to the company's strength in beverage, food, personal care, and cannabis. Berlin expanded their stronghold in the Napa Valley region in 2015 when they acquired Diablo Valley Packaging, a significant regional packaging player. With the 2016 purchase of Italy-based Bruni Glass, an expert in premium and specialty glass packaging with multiple locations in Europe and North America, Berlin Packaging added thousands of innovative packaging options designed specifically for the wine, spirits, and gourmet food markets. The company recently launched a new portal for its wine business, BerlinWinePackaging.com, which is supported by a fleet of branded trucks. "Our investments in warehousing, facilities, leadership, inventory, and our people show our commitment to be the preeminent packaging supplier for the wine industry and the entire region," said Andrew Berlin, Chairman and CEO of Berlin Packaging. "And the swift growth we are seeing shows that companies are yearning for the creativity, precision, and competitiveness that we bring to every situation in California and around the world." Berlin Packaging is the only Hybrid Packaging Supplier® of glass, plastic, and metal containers and closures. See HybridPackagingSupplier.com and GreaterFaster.com for more on how the company exists to help people and companies excel. With 40,000+ available SKUs, 200+ packaging consultants, and 100+ sales and warehouse locations across North America and Europe, the company has the right products, expertise, and geographic proximity to help customers increase their net income through packaging products and services. Berlin Packaging supplies billions of containers and closures annually as well as warehousing and logistics services for customers of all sizes in all industries. It is the only company in its sector to be ISO 9001 certified, to have Customs-Trade Partnership Against Terrorism (C-TPAT) certification, and to achieve 99% on-time delivery of its shipments every month for more than 13 years. Related services and specialty product divisions include Studio One Eleven custom packaging and graphic design, Berlin Global sourcing solutions, E3 profit-oriented consulting, Berlin Financial financing for equipment and capital improvements, Berlin Quality advocacy, Dangerous Goods transport, Freund Container & Supply convenience, and Qorpak laboratory supplies. The company can be reached at 1.800.2.BERLIN, BerlinPackaging.com, and on LinkedIn and Twitter. Innovative Business Model for Berlin Packaging's Studio One Eleven Design Division Spurring Double-Digit Growth By Providing Design Services at No Charge in Exchange for Packaging Business, Design Studio Is Changing the Industry, Winning Awards, and Propelling $3+ Billion in Sales for Customers. Studio One Eleven, the design and innovation division of Berlin Packaging, offers full-service design and engineering support with a twist: they provide their services at no charge in exchange for supply agreements for packaging. Where some might characterize such a strategy as unconventional, executives at its design division use an altogether different word: Aligned. "Because fee-based engagement models demand it, most design consultancies focus on their billable hours rather than their clients' financial success. Whether the product they've designed launches or not – and whether that product is successful or not – doesn't financially impact the consultant," said Scott Jost, Vice President of Innovation & Design at Studio One Eleven. "It's our belief that the pure fee-for-service model is antiquated. At Studio One Eleven, we are fully vested in the success of every project we work on. We exist to help increase the revenue of our customers." In 1999, Berlin Packaging made the decision to provide Studio One Eleven's design services to its customers at no charge in exchange for customers' packaging business. Seventeen years later, this innovation continues to pay off with record-setting corporate revenues along with double-digit increases in project counts for Studio One Eleven. 2016 is on trend to be yet another solid year winning with customers, with dozens of patents filed and on average more than one custom component tool approved per calendar day. Driving it all, Jost notes, is the success of Berlin Packaging's broad customer base. "The packaging we designed at Studio One Eleven helped generate more than $3 billion in sales for our clients last year," he said. "We're not trying to get a bigger piece of a fixed pie. Instead we're working to make the pie itself bigger for everybody." In the past year, Studio One Eleven's design solutions have performed almost as well at award competitions as they have in the marketplace. In addition to winning multiple honors at some of the industry's most respected competitions, including the WorldStar Packaging Awards, the Studio's solution for Nu Skin Enterprises' ageLOC® Me skin care device received the prestigious "A-prime" Platinum Award. Most recently, its package for Thea's English Tea earned the People's Choice Award at the Brand Packaging Design Gallery Awards. Now boasting a staff of 25, Studio One Eleven offers 300+ years of combined product, packaging and brand building experience. The team is comprised of people from blue-chip design agencies and leading packaged-goods firms; team members importantly also bring expertise from outside packaging, from consumer electronics and clothing to footwear and medical devices. Two new positions were created over the last 18 months to further enhance the team. Shar Puskala, a certified internal auditor for ISO 13485 with Class I and II medical device commercialization experience, joined as Director of Program Management to help customers navigate complex project development cycles in regulated product categories. Martin Rathgeber augmented the engineering team as Director of Engineering to improve the integration of design and manufacturing. Rathgeber and Puskala bring a combined four decades of experience in teaching, practicing and leading engineering engagements for a range of global firms that includes Wrigley, SC Johnson, Kimberly Clark, Clorox, Procter & Gamble and Kraft Foods. The Studio recently moved to a new 8,000-square-foot space in Chicago's West Loop neighborhood, adjacent to Berlin Packaging's world headquarters. The new facility features a full packaging resource and sample library, collaboration and meeting spaces, and an in-house model shop for real-time prototyping. "We take great pride in our old-world modeling skills, but as early adopters of rapid prototyping technologies we've woven the ability to test parts early and often into our methodologies," Jost states. "Getting our customers to market with great solutions faster means that we're all making money sooner." Something that has not changed is the Studio's approach to each project, which has earned the globally-recognized ISO 9001:2008 certification. Before any design work begins, the Studio seeks out consumer, category and competitor insights with user ethnographies, store visits and market research. This feeds the brand strategy, graphic design and structural design work. But the Studio designs much more than bottles and caps; they can handle complex systems like compliance packages, medical consumables, applicators and dispensing systems. The Studio's engineers then review all designs to ensure they will manufacture properly and move smoothly through the supply chain. A dedicated mold-building team shepherds the final, customer-approved design through a mold-build process and collaborates with Berlin's procurement team, who selects the right manufacturer from a network of 900+ companies located around the world. "The hard part is doing all the steps well," said Andrew Sanguinet, Director of Industrial Design at Studio One Eleven. "No amount of consumer research means that a design solution can be produced, filled, capped and labeled properly. And you could say the same thing about beautifully-architected products that ignore consumers' needs. One of the reasons we were so happy to earn ISO certification of our robust process is that it validates the care with which we attend to all aspects of the project." "These past twelve months have substantiated our overall approach," said Jost. "Whether we're creating a new package for Honest Company, helping define the evolution of an established brand like Turtle Wax, or reviving a storied product like Mylanta, our solutions are built with both the consumer and commercialization in mind. Our ultimate aim, now and in the future, is to help our clients 'package more profit.'" Berlin Packaging is the only Hybrid Packaging Supplier® of plastic, glass, and metal containers and closures. See HybridPackagingSupplier.com and GreaterFaster.com for more on how the company exists to help people and companies excel. With 40,000+ available SKUs, 200+ packaging consultants, and 100+ sales and warehouse locations across North America and Europe, the company has the right products, expertise, and geographic proximity to help customers increase their net income through packaging products and services. Berlin Packaging supplies billions of containers and closures annually as well as warehousing and logistics services for customers of all sizes in all industries. It is the only company in its sector to be ISO 9001 certified, to have Customs-Trade Partnership Against Terrorism (C-TPAT) certification, and to achieve 99% on-time delivery of its shipments every month for more than 12 years. Related services and specialty product divisions include Studio One Eleven custom packaging and graphic design, Berlin Global sourcing solutions, E3 profit-oriented consulting, Berlin Financial financing for equipment and capital improvements, Berlin Quality advocacy, Dangerous Goods transport, Freund Container & Supply convenience, and Qorpak laboratory supplies. The company can be reached at 1.800.2.BERLIN, BerlinPackaging.com, and on LinkedIn and Twitter. Expands Berlin's Glass Packaging Capabilities, Including Expertise in Wine & Spirits Sector. Leading rigid packaging supplier Berlin Packaging today announced the acquisition of California-based Diablo Valley Packaging, marking Berlin's second acquisition in three months and the sixth since 2010. The addition of Diablo Valley Packaging's organization and $125 million annual sales significantly expands Berlin's market penetration in California and the Pacific Northwest, strengthens its glass packaging supply chain, and enhances the company's ability to service customers in the food, beverage, and wine & spirits markets due to Diablo's specialization in these areas. Like the acquisition of Ohio-based Vivid Packaging in September, this transaction is part of an initiative to double Berlin's revenues and earnings by 2017 through both organic growth and strategic acquisitions. All of Diablo Valley Packaging's managers and front-line personnel will remain with the company, creating an organization with more than 650 employees, $1 billion in annual sales, double-digit organic growth, and deep expertise in supplying rigid packaging to markets ranging from food & beverage to wine & spirits, personal care, pharmaceutical & nutraceutical, chemical & industrial, automotive care, pet care, and household care. Broader geographic coverage with more than 100 sales offices and warehouse locations, bringing Berlin's packaging consultants and inventory management acumen closer to more customers. Diablo doubles Berlin's footprint in California and strengthens its presence in 40 other states and provinces. Expanded product offerings by bringing together Diablo's relationships with major glass manufacturers in North America and around the world with Berlin's 35,000 SKUs and supply chain focused on plastic, glass, and metal containers, closures, and dispensing systems. Customers now have a stronger one-stop shop for all their packaging needs. All customers will also benefit from Berlin's strong operational backbone, including ISO 9001 certification and a world-class Oracle system that together have produced an industry-leading 137 consecutive months of 99+% on-time delivery for customers using Berlin's warehousing and inventory management programs. This performance helps everyone in the supply chain reduce inventory levels and lower expenses. "Diablo Valley Packaging and Berlin Packaging have both achieved double-digit growth over the last few years in an industry where low single-digit growth is the norm. As with our company, Diablo's strong performance is a testament to their creative solutions, strong supply chain, and emphasis on exceptional customer service," said Andrew Berlin, Chairman and CEO of Berlin Packaging. "By combining the strengths of both companies, this acquisition helps us meet our high growth goals and solidifies our position as the industry's largest, most comprehensive, and most customer-focused rigid packaging supplier." "Joining forces with Berlin Packaging aligns Diablo with a nimble innovator in the packaging space while also expanding opportunities for our employees, customers and suppliers," said Peter Reno, CEO of Diablo Valley Packaging. "This is a case of getting bigger and better, accelerating our growth as well as Berlin's, and building a stronger company that can serve the widest possible range of packaging needs." "I've led Diablo for more than 20 years," said Jeff Jones, Diablo Valley Packaging's majority owner. "To get to an even higher level of performance, I knew we needed to find a partner, and Berlin Packaging was clearly the best choice for us. I look forward to seeing the company evolve and reach greater heights in the future." Berlin Packaging is North America's only Hybrid Packaging Supplier® of plastic, glass, and metal containers and closures. See PaintTheTarget.com and GreaterFaster.com for more on how the company exists to help people and companies excel. With more than 35,000 available SKUs, more than 150 packaging consultants, and more than 100 sales and warehouse locations across North America, the company has the right products, expertise, and geographic proximity to help customers increase their net income through packaging products and services. Berlin Packaging supplies billions of containers and closures annually as well as warehousing and logistics services for customers of all sizes in all industries. It is the only company in its sector to be ISO 9001 certified, to have Customs-Trade Partnership Against Terrorism (C-TPAT) certification, and to achieve 99% on-time delivery of its shipments every month for more than 11 years. Related services and specialty product divisions include Studio One Eleven custom packaging and graphic design, Berlin Global sourcing solutions, E3 profit-oriented consulting, Berlin Financial financing for equipment and capital improvements, Berlin Quality advocacy, Dangerous Goods transport, Freund Container & Supply convenience, and Qorpak laboratory supplies. The company can be reached at 1.800.2.BERLIN, BerlinPackaging.com, and on LinkedIn and Twitter.